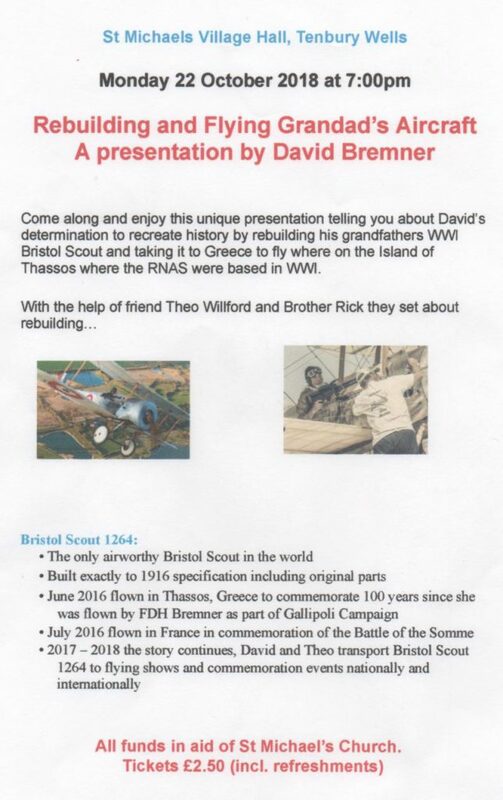 WW1 – Rebuilding and Flying Grandad’s Aircraft – © 2018 St Michaels Village. St Michaels Village Hall is a registered charity. Charity No. 1023457. This event has been CANCELLED but we hope to reschedule for another time.